Lego Video Games are a kids favorite, and they’ll top many children’s wish lists this Christmas, so I thought I’d put together a Lego Video Games guide. Here are some of the most popular Lego video games. 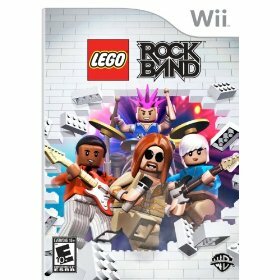 Lego Rock Band just hit the stores November 3rd, and is available for the Wii, Nintendo DS, xBox360, and Playstation 3. Kids can personalize their own LEGO Rock Den, and decorate it to suit their own rock style. My son’s favorites are the Lego Star Wars Video Games . 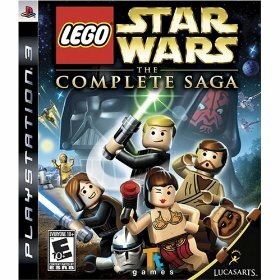 I think we have the Lego Star Wars Complete Saga for the Nintendo DS, and for the Wii. It’s also available for Xbox360, and the Playstation3. LEGO Star Wars: The Complete Saga lets kids and their families to play through the events of all six Star Wars movies in one videogame for the first time ever. Players solve puzzles with creative thinking through the use of teamwork and unique building situations only possible in a LEGO galaxy far far away. 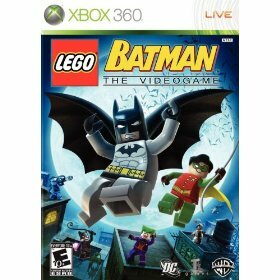 With Lego BatMan video games children can play as Batman, Robin or more than 12 dastardly villains, master special super hero moves, and create and drive the Batmobile, Batboat and the Batwing. 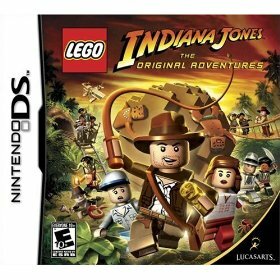 Lego Indiana Jones video games follows Dr. Jones escapades through the jungles of South America to the mountaintops of India. Kids and their families can build, battle and brawl their way through their favorite movie scenes, from Indy’s entanglements with snakes to his dashing boulder run. Please feel free to share your favorite Lego Video game. Bakugan promises to top many kids Christmas wish lists this year, so I thought I’d put together a Bakugan game gift guide. 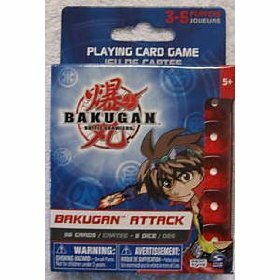 There are several Bakugan games out there your kids can play, from Bakugan board games, to all out Bakugan Battle Brawls. Here are a few of my son’s Bakugan game favorites. He of course loves to play the Bakugan DS Games whenever he gets the chance. 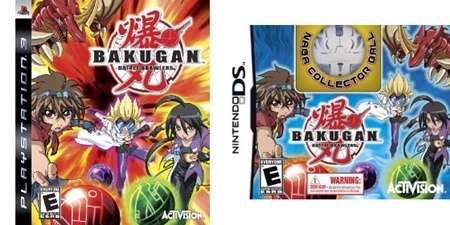 His latest favorite is the new Bakugan Collector’s Edition with NAGA Collector Bakugan Ball , or the classic Bakugan Battle Brawlers which is also available for the Wii, Xbox 360, and Play Station. If you’re looking for a more hands on Bakugan game there are several to choose from for battles and challenge play. 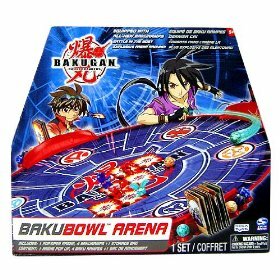 The Bakugan Bakubowl is a special arena where kids can engage in battle and even hold Bakugan tournaments with their friends. The arena has bumpers you can use as part of your game strategy. Each of the bumpers holds 6 of your favorite Bakugan and 6 playing cards. Are you a board game fan? Try the Bakugan Brawl Board Game , where players get to combine the critical thinking required in chess with the battle action of Bakugan. 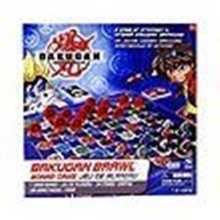 Or your Bakugan fan is just starting out they can play the classic Bakugan Attack Playing Card Game . That’s how my son got started. Once they get started they can add more Bakugan Cards to their collection for even more game action. Planning a Bakugan Birthday Party? I have a fun Nintendo DS game for all you Jonas Brothers fans out there, Disney Jonas for Ninendo DS and DSi will be released on November 10th. Have you ever wondered what it would be like to live the Jonas Brothers life? You can find out in this new Disney game. Check out how how everyday life collides with the pop star world in the new Jonas video game for Nintendo DS. You can be any one of the Jonas brothers. Players help the Jonas Brothers juggle school, friends, and their fans, and still have time for family and dinner, by striking the right cords and helping the Jonas brothers overcome obstacles in their way. You can even outfit your Jonas Brother with stylish clothes for any event from school to a television appearance, or to rock out at one of 6 rock concerts. 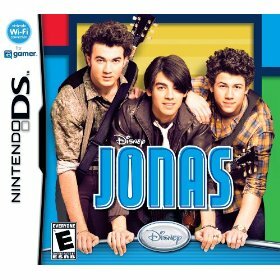 I’m sure the new Disney Jonas video game will be on every Jonas Brother fan’s Christmas wish list this year! Kingdom Hearts fans have been waiting quite a while for this video game to premiere. The new Kingdom Hearts 358/2 Days hit stores on September 29th. Since then my son has been begging me to go buy it. 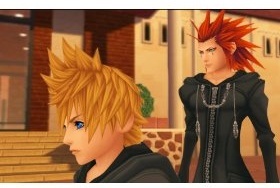 The new Kingdom Hearts 358/2 Days coverts the Kingdom Hearts missing chapter. 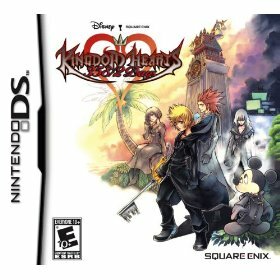 The latest game covers the action that takes place between Kingdom Hearts and Kingdom Hearts 2. You can finally experience the missing chapter! In Kingdom Hearts 358/2 Days , to release Kairi’s heart so she cango with them, Sora turns the Keyblade on himself. What he doesn’t realize is doing so will also release his own heart. When he does this he creates Roxas (Sora’s Nobody), who has no memory. 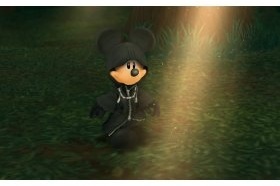 On the journey the truth about his existence Roxas joins the Organization, and begins to unlock secrets throughout the game. In the game players can join together with additional players in DS multi-card play over a DS Wi-Fi connection to enjoy multi-player features. This allows players to team up with up to three other players and engage in mission play that is completely different from the story driven mode of the single player game. The game also contains a new Panel System The panels help players equip and customize their character’s levels, items, magic, weapons, abilities, armor and accessories. The panels also help players progress through the game. Since certain items, like spells, which are needed to progress for can’t be used, to their full potential, until their panels are equipped. Play the game to find out what the connection is between Roxas, Sora, and a new mystery fourteenth member of the Organization. 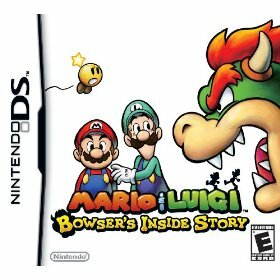 One of the games at the top of my son’s Christmas list this year is Mario & Luigi Bowser’s Inside Story for the Nintendo DS, or DSi. He’s a big Mario fan, so each time a new game comes up it hits his wish list. The game has two different story lines. 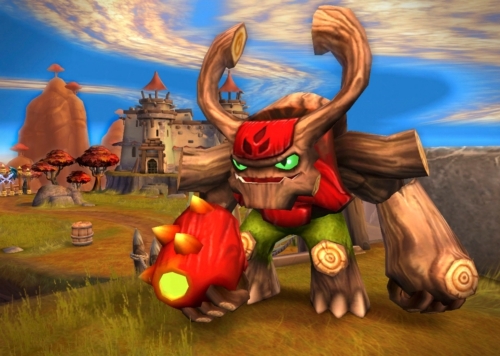 In one story line players are helping Bowser stop a villian from taking over his castle. In the other story line Mario and Luigi are tiny microbes helping Bowser from the inside. Players can switch from one story line to the other while they’re playing the game, in both they are affecting Bowser’s outcome. I think Mario & Luigi Bowser’s Inside Story will top many Mario or DS game fan’s Christmas lists this year.